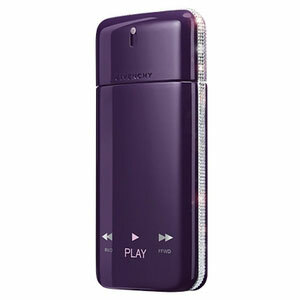 In 2010 Givenchy launches Play For Her, a female version of the famous and seductive Play for Him fragrance from 2008. Two noses worked to create this composition; these perfumers are Emilie Coppermann and Lucas Sieuzac. The face of the campaign, together with Justin Timberlake, is the Canadian model and actress Noot Sear. The female Play is available in two editions: Play For Her, the lighter version, and the stronger, more aggressive Play For Her Intense version. Top notes include pink peppercorn, white peach and orange blossom, followed by the heart of magnolia, Tiare flower and orchid, wrapped with the base of sandalwood, patchouli, tonka bean and benzoin. It is available as 30, 50 and 75 ml EDP. Play For Her Intense was created by Emilie (Bevierre) Coppermannn and Lucas Sieuzac.